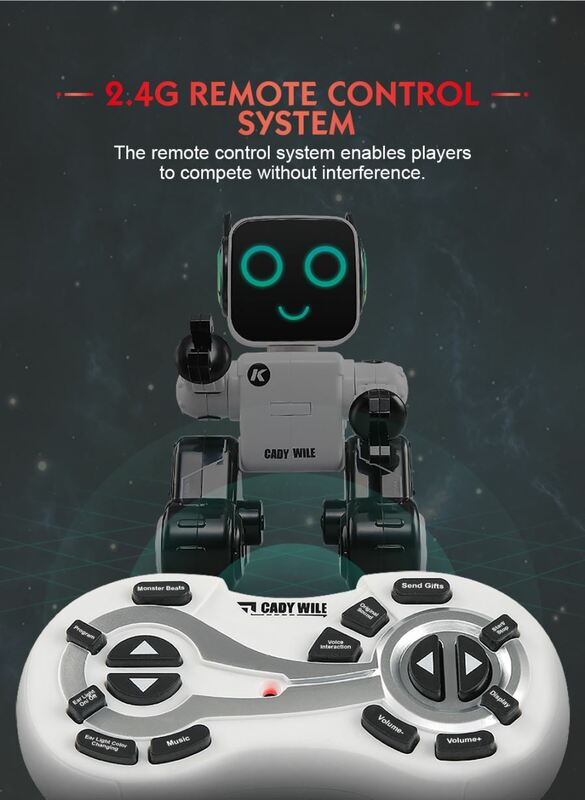 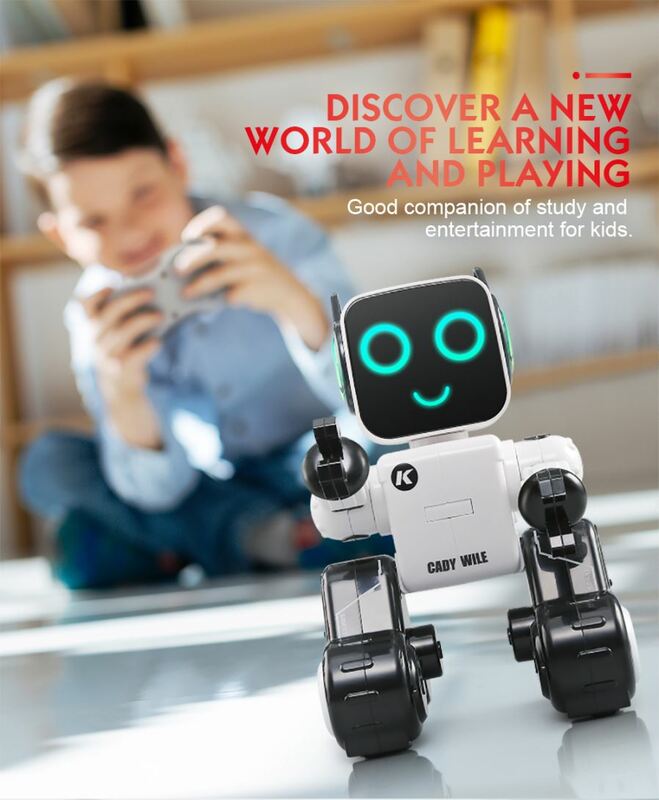 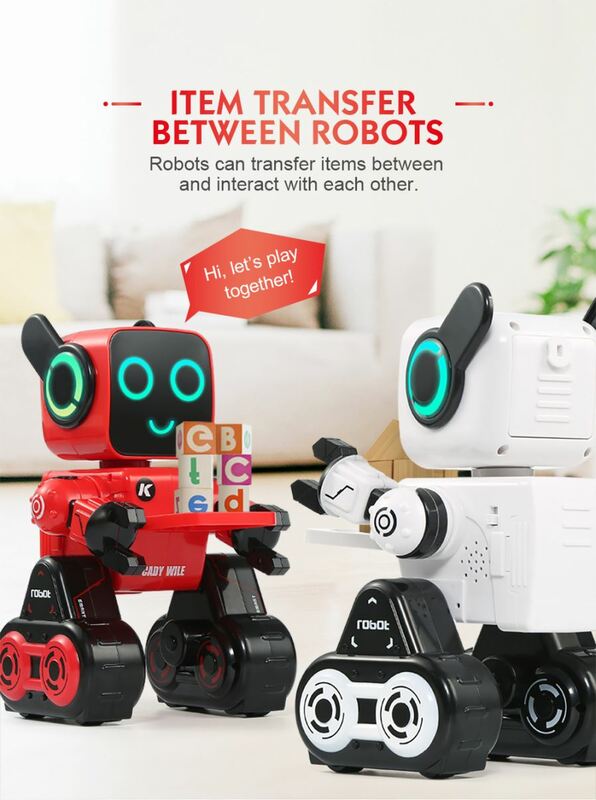 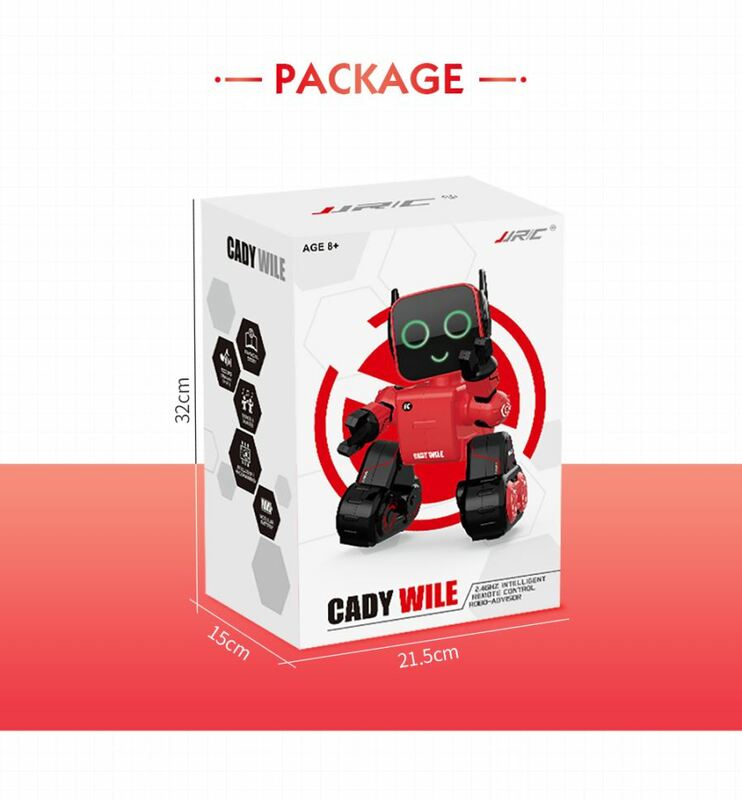 JJRC R4 is an intelligent RC robot which is capable of creating a lot of fun for your little kids.You can touch its head to make it speak. 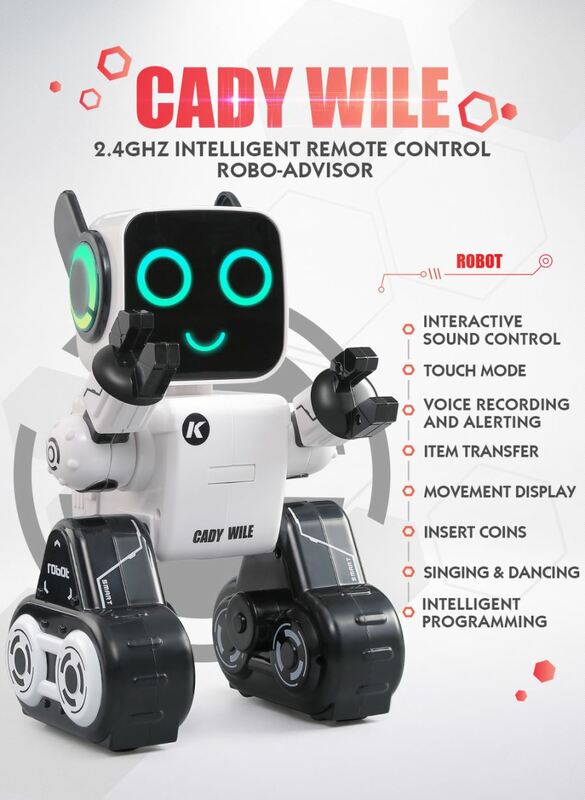 Press the the "interactive sound mode" button,the robot would clap once and play the recorded voice that has been alerted. 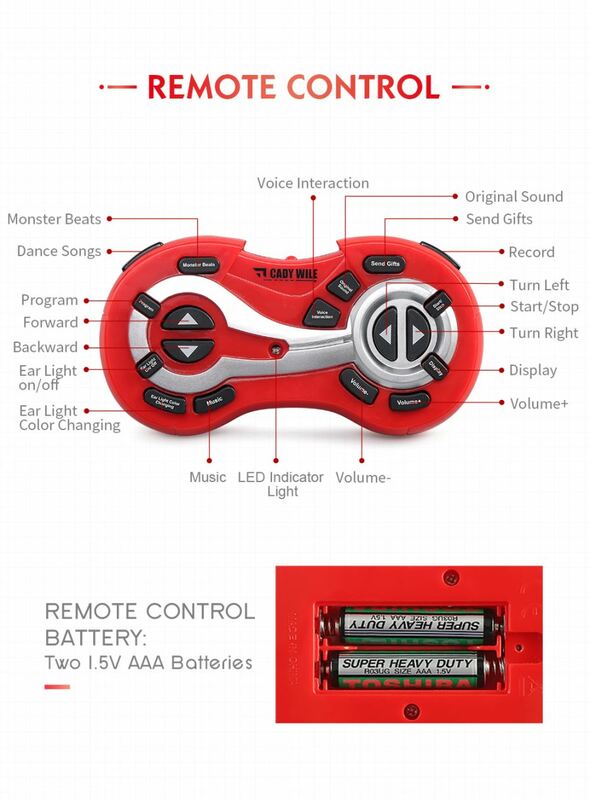 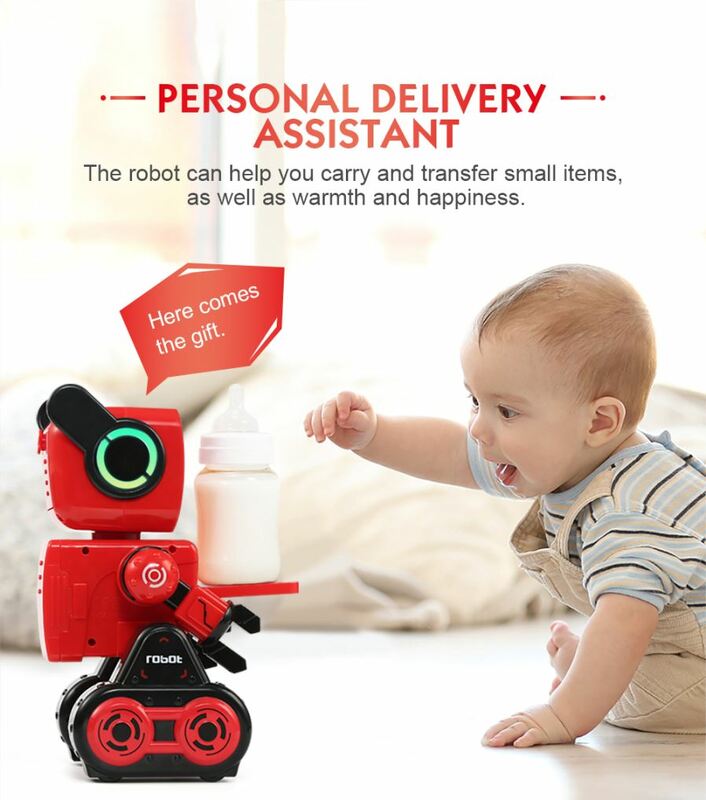 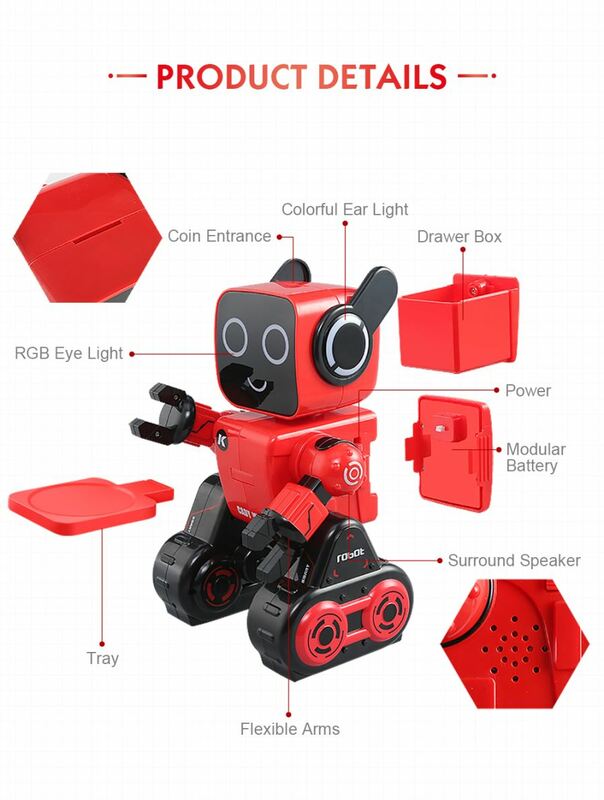 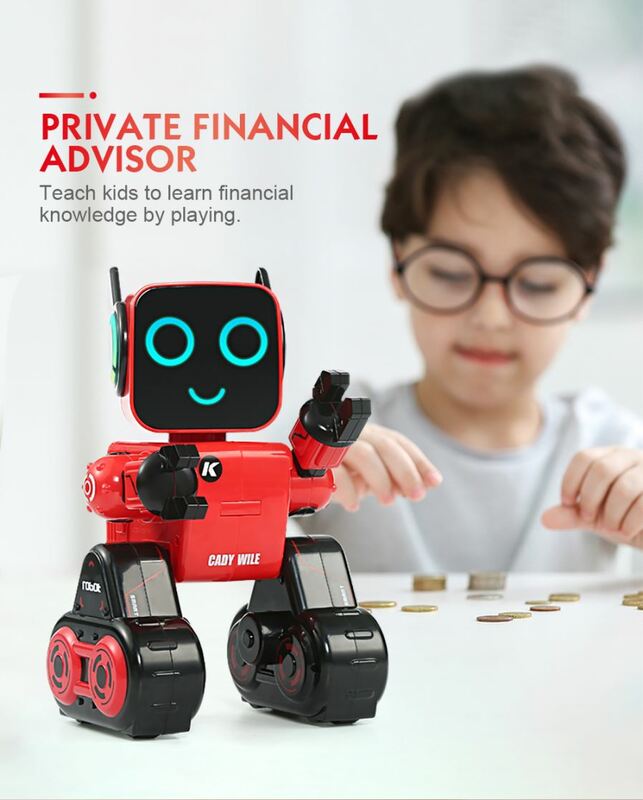 Moreover, the robot is programmable and can singing and dancing, collected your pocket money. 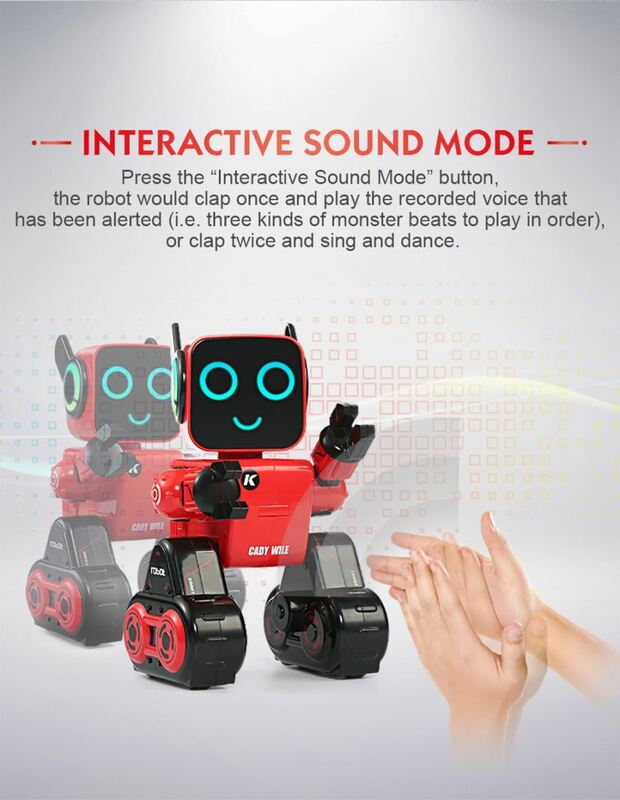 Press the "interactive sound mode" button,the robot would clap once and play the recorded voice that has been alerted. 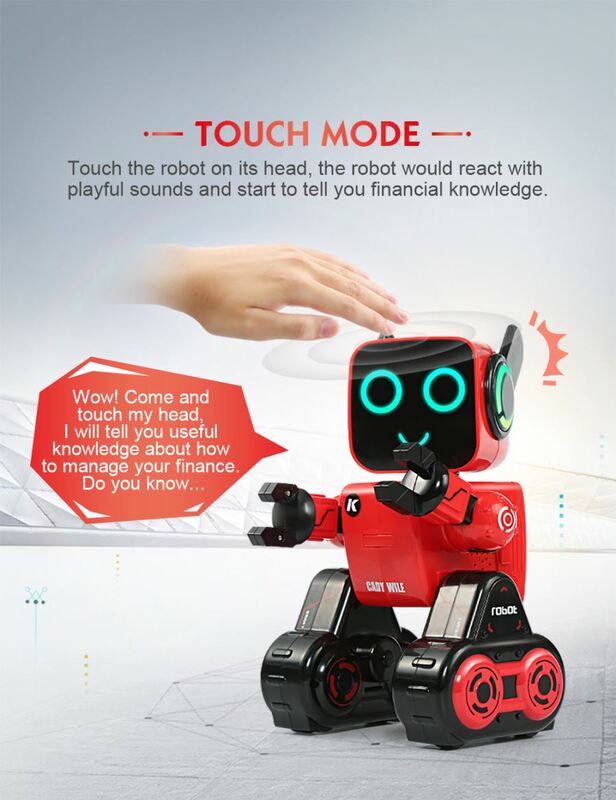 Touch the robot on its head, the robot would react with playful sounds and start to tell you financial knowledge. 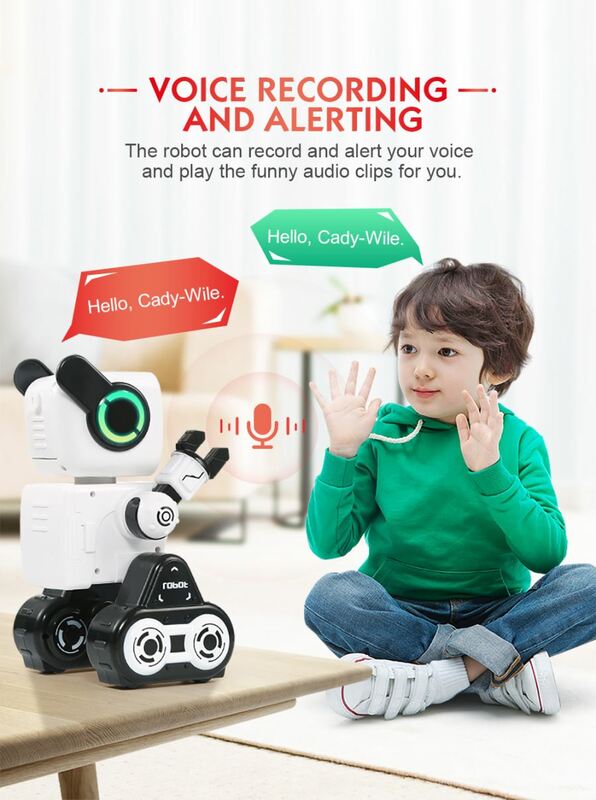 The robot can record and alert your voice and play the funny audio clips for you. 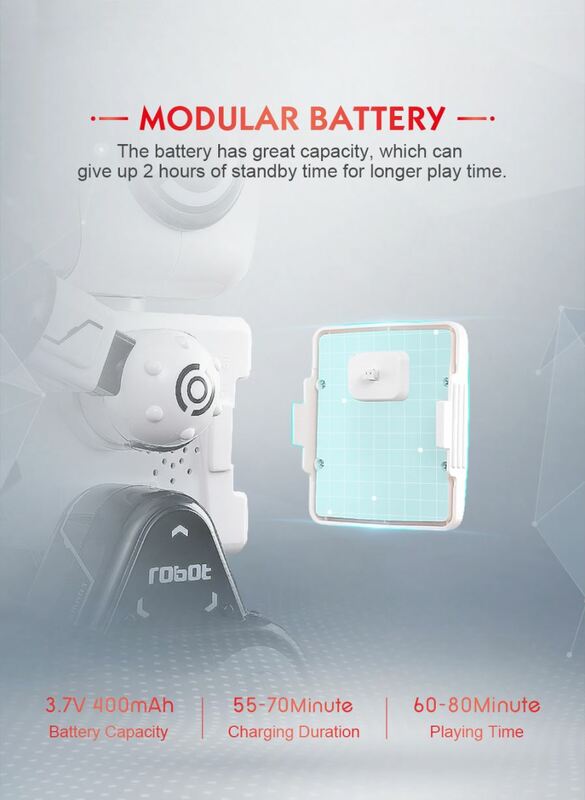 The robot can help you carry and transfer small items and interact with each other. 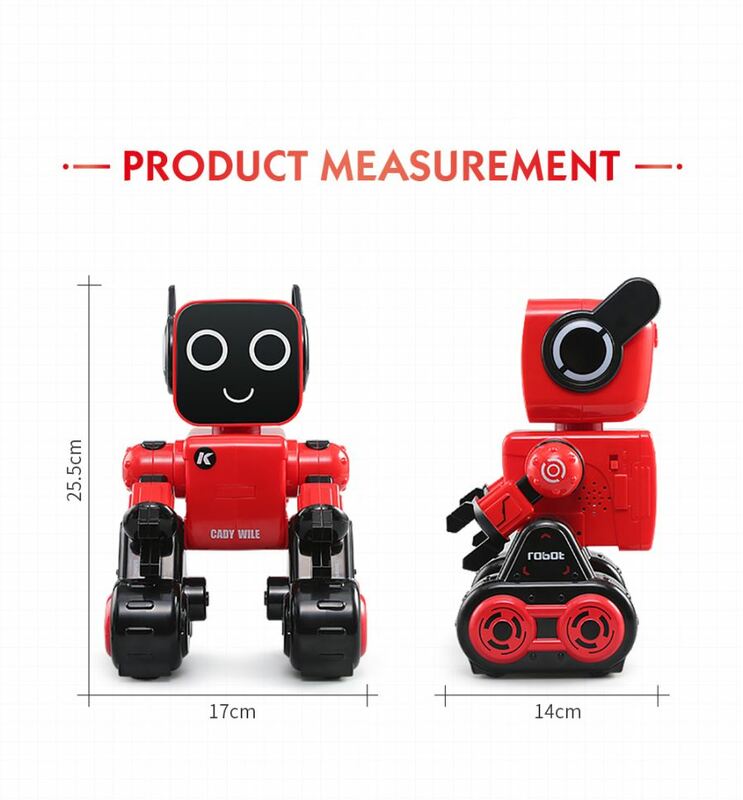 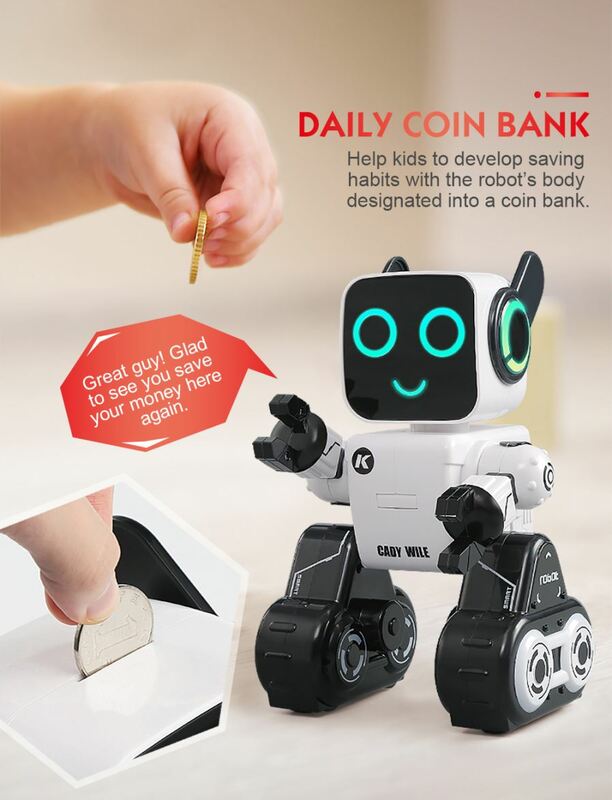 Help kids to develop saving habits with the robot's body designated into a coin bank. 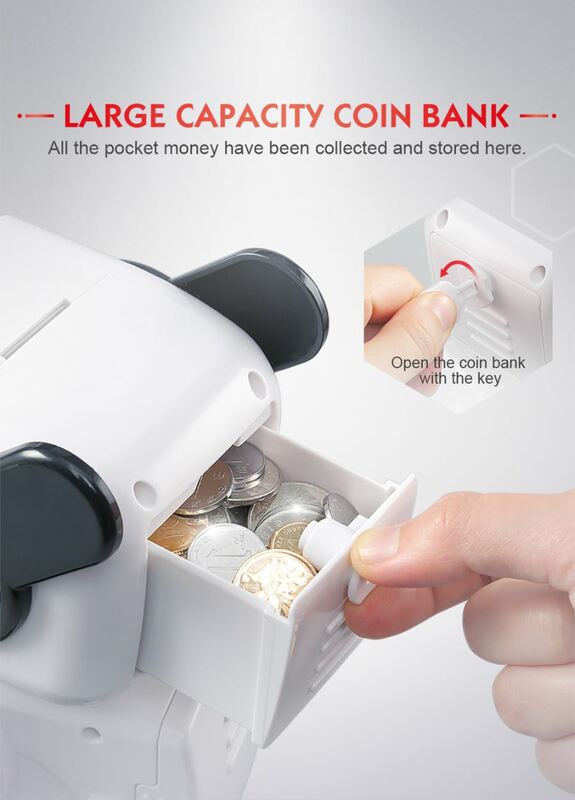 all the pocket money can be collected and stored here. 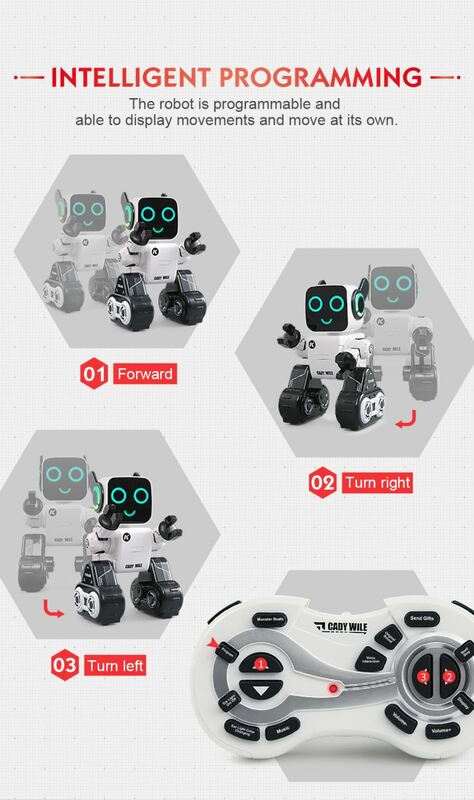 Watch the robot's cool performance and dance together. 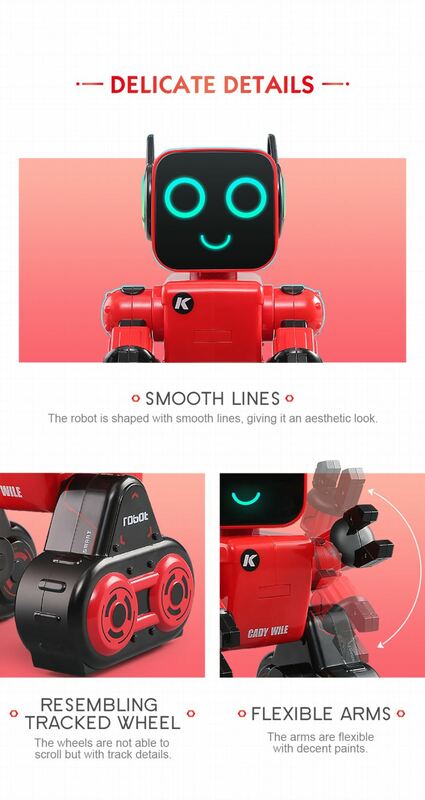 The robot is programmable and able to display movements and move at its own. 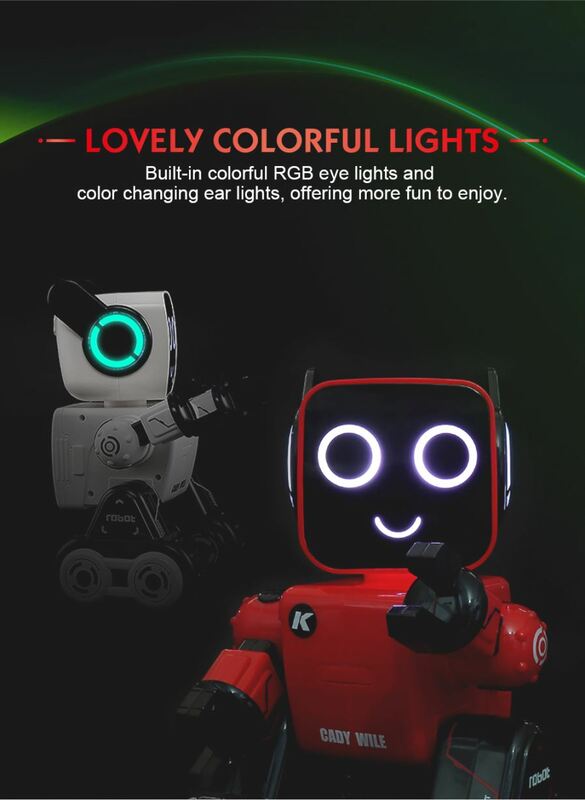 Built-in colorful RGB eye lights and color changing ear lights, offering more fun to enjoy.